Demetrius, and refuses to budge. So, Hermia and Lysander run away together. They share their plan with their good friend Helena, who tells Demetrius, because she is in love with him. Oberon sends his fairy, Puck to use it to force Demetrius to love Helena. However, Puck makes a mistake and a comedy of errors ensues amongst the lovers. 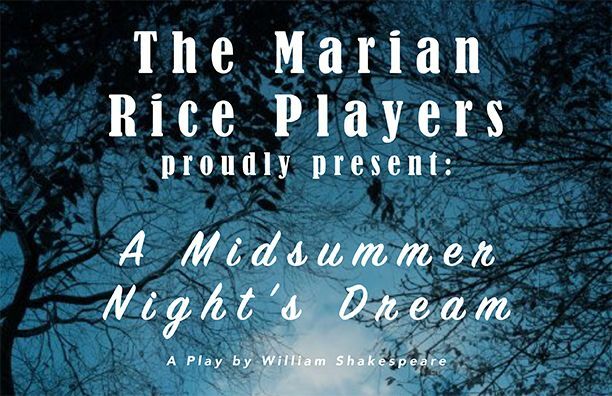 Marian Rice Players is a co-ed theatre program consisting of students from Marian and Brother Rice Catholic high schools celebrating their 55th season of theatre education.